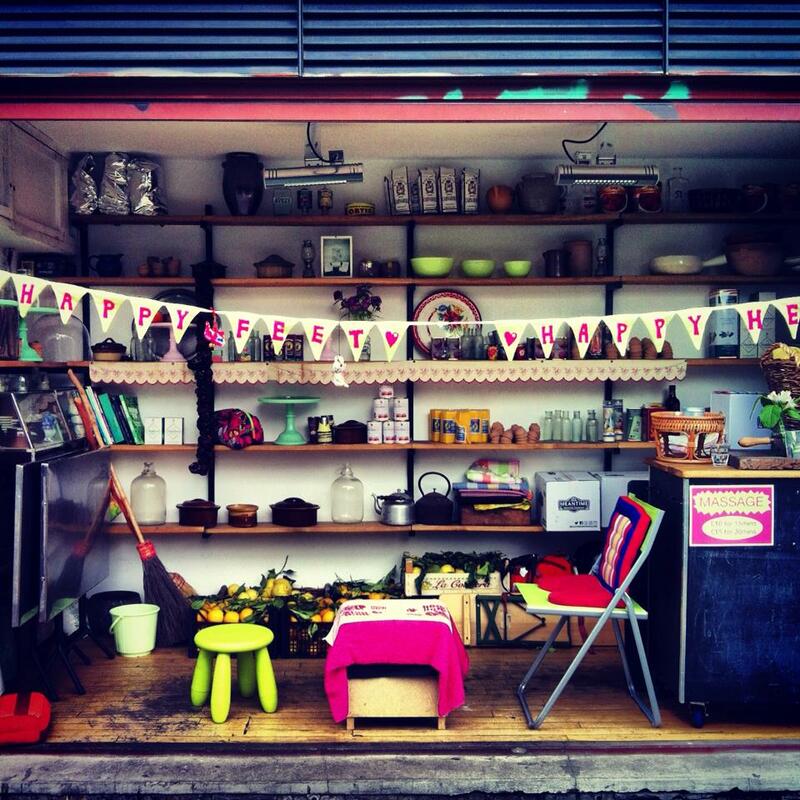 Happy Feet Happy Heart is a Hoxton summer pop-up, every Tuesday from 12-5pm. Based at THE TOWPATH CAFE on Regents Canal, Rachel King has been massaging Londoners back to happiness since 2011. Happy Feet Happy Heart is based on Thai chair massage, found in the markets, streets and temples of Thailand. Accessibility to massage allows massage to be a normal part of every day life in Asia. Rachel sets to recreate this ethos with her stripped down and accessible vibe in this London gem.